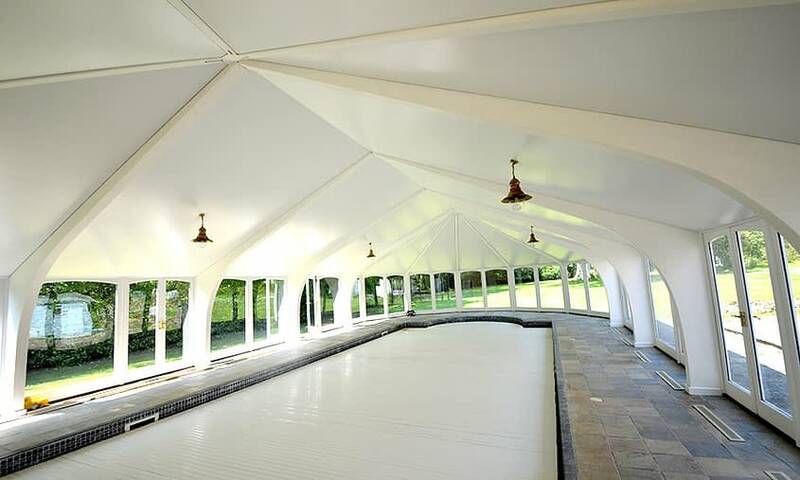 The owners of this large swimming pool in Surrey had an orangery built over it seven years ago. However the roof was starting to leak and the glass panels were proving difficult to keep clean. It was also too hot under the glass roof in the summer. We worked in combination with Conservatory Roof Projects to provide a new roof and ceiling. The client wanted the wooden beams of the existing roof to still be visible so we designed twenty individual stretch ceiling canvases to fit where the glass panels used to be. This was a large job, 162 square metres, but we completed the install in two days. 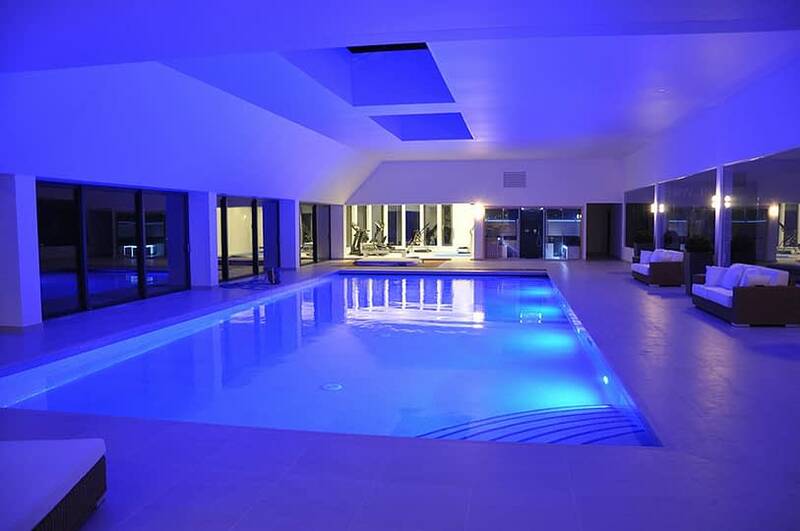 The ceiling was stylishly completed with LED strip lights, allowing a number of different dramatic effects at night.